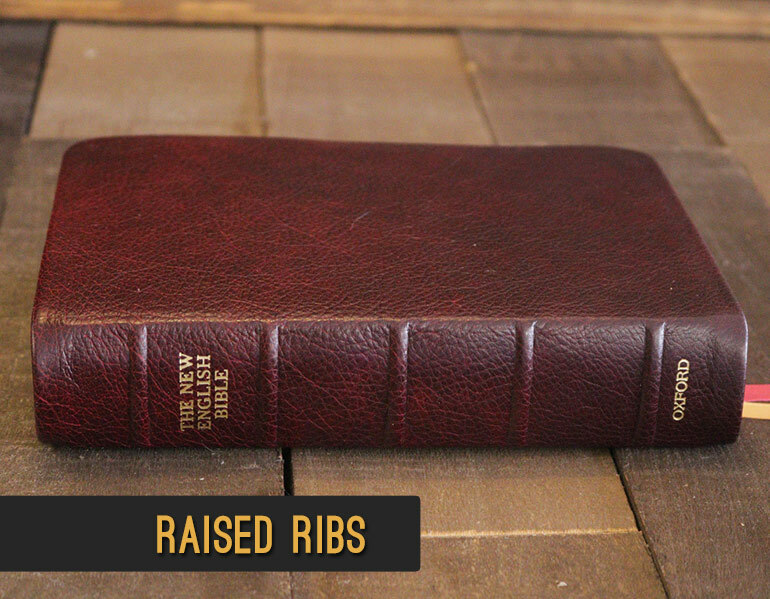 Raised ribs are protruding lines on the spine of the cover giving your Bible an antique look. 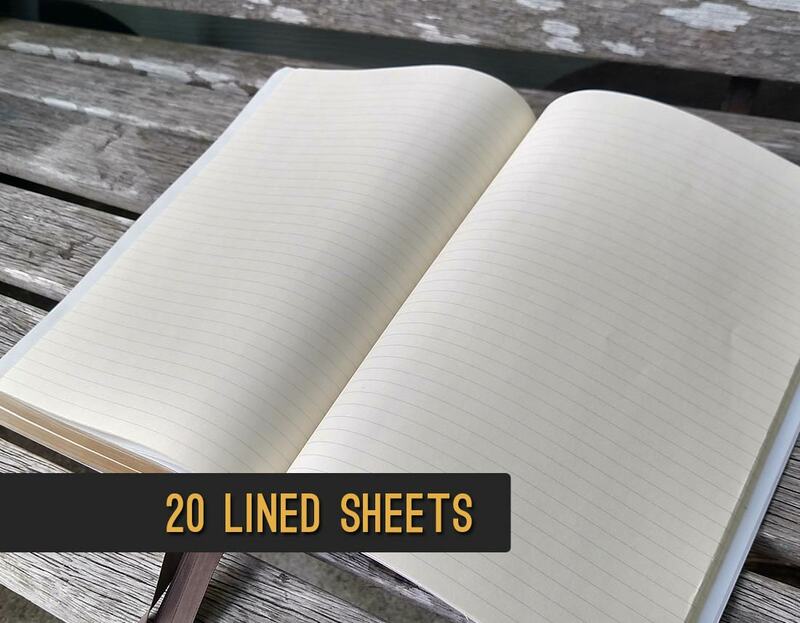 They are completely aesthetic and do not add to the durability of the binding. 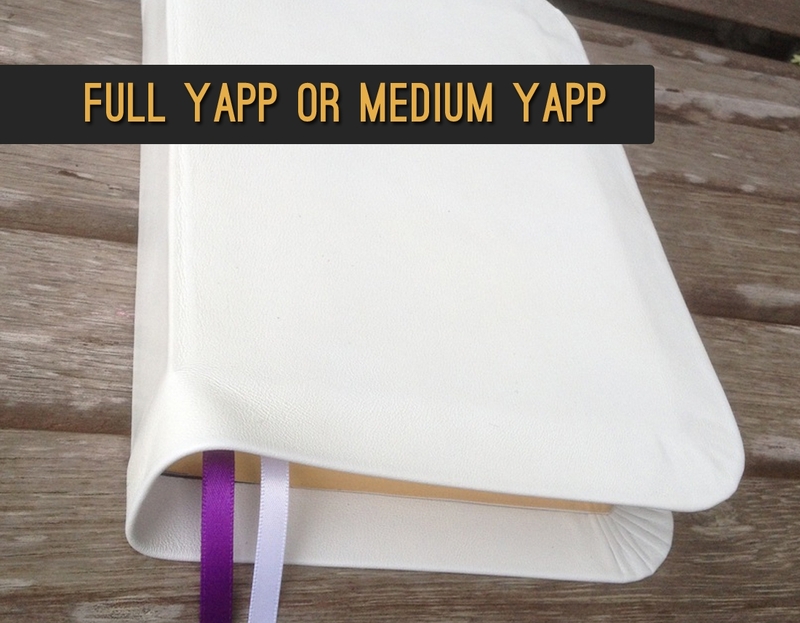 A full yapp means that the edge of the cover extends far enough beyond the edge of the book so that when the book is closed, the front and back cover can touch. 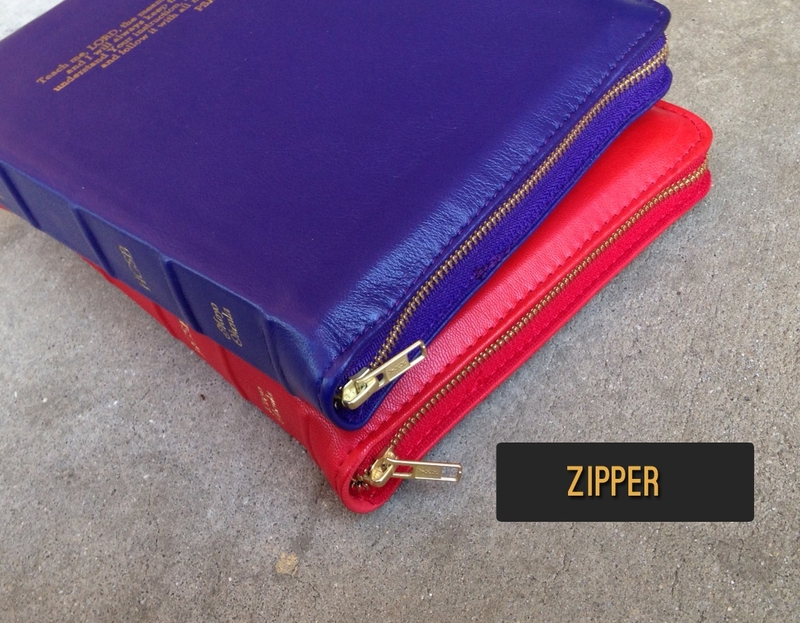 The price will vary depending on the leather type and the thickness of the Bible. 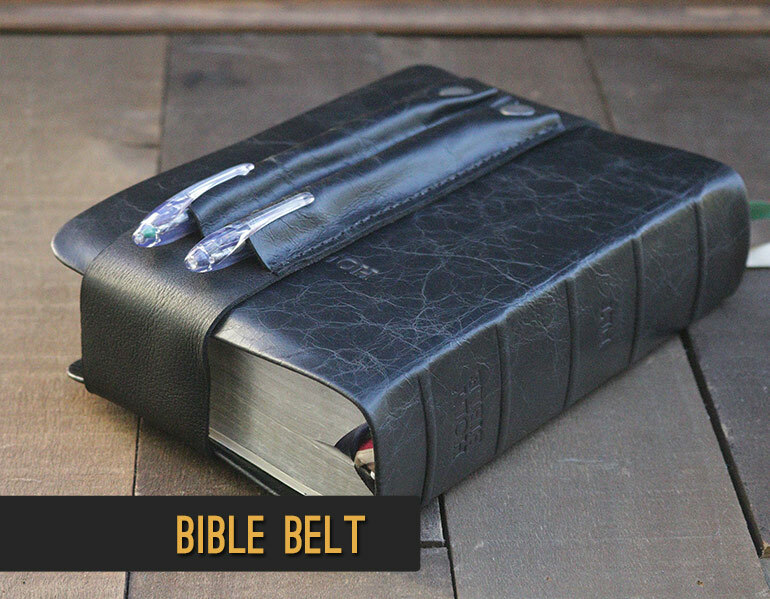 For example, on a thin-line Bible, it could only be $5. 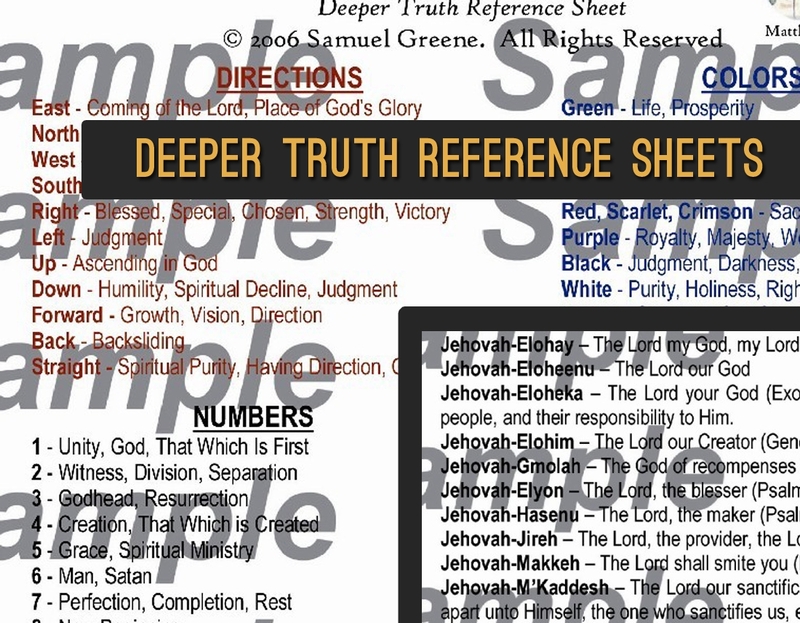 2) the second page is a list of all the covenant names of God as found in Scripture and their meaning (36 listed here). 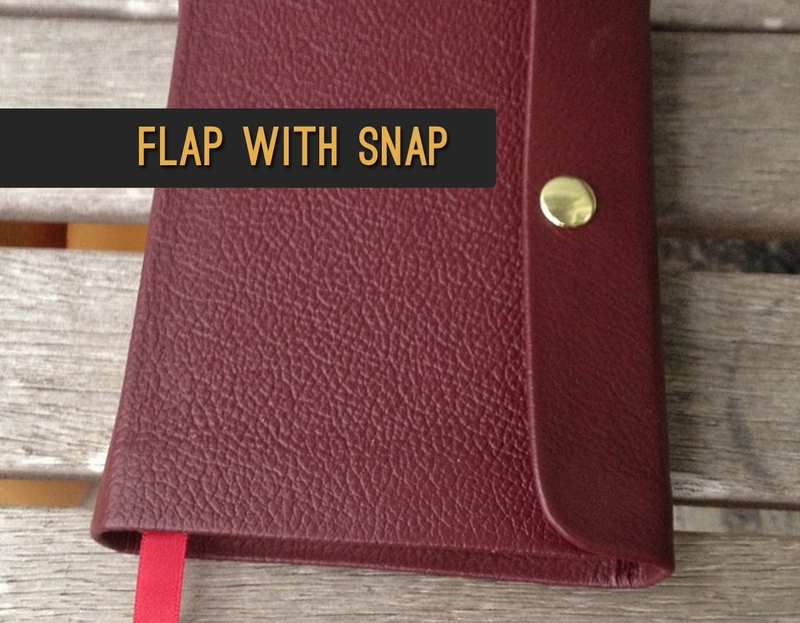 This option is only available on bibles with a leather liner. 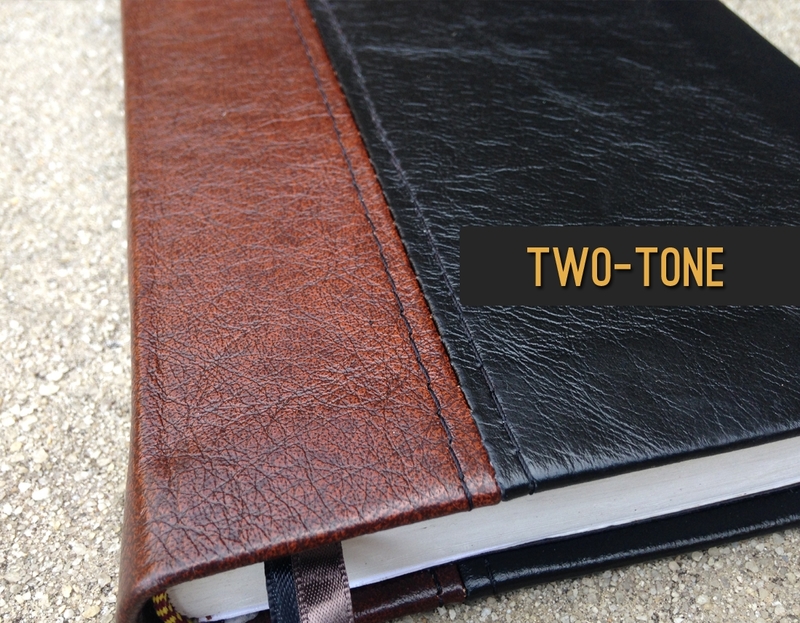 When ordering, please specify the color of the leather for the spine versus the front/back cover. We use only high quality ykk brass zippers. 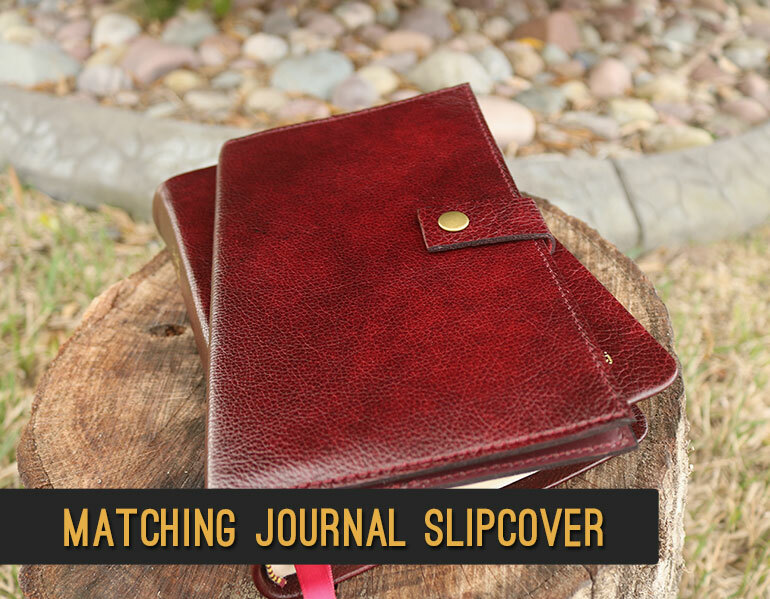 Add a matching leather journal slipcover with 5 x 8 1/4″ Moleskine Volant Collection journal. 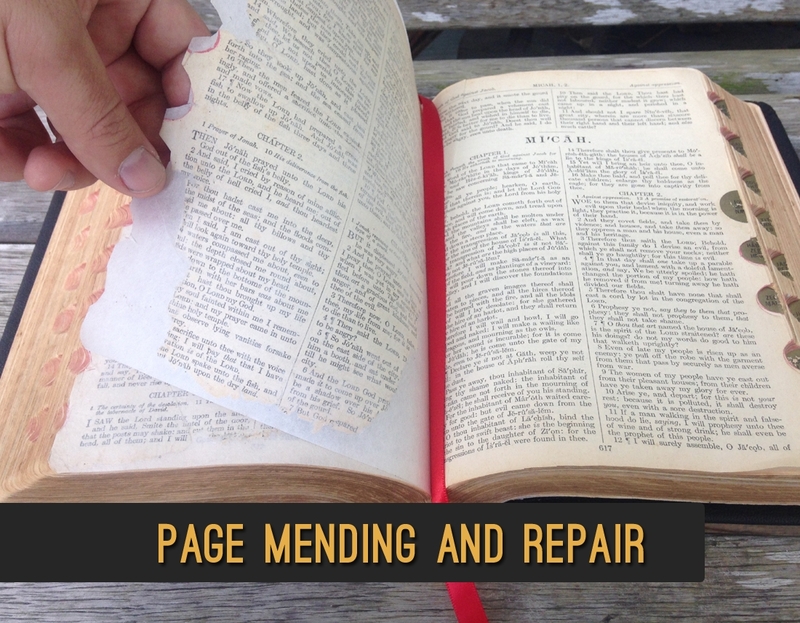 Our standard binding repair includes up to 1.5 hours of repair time. 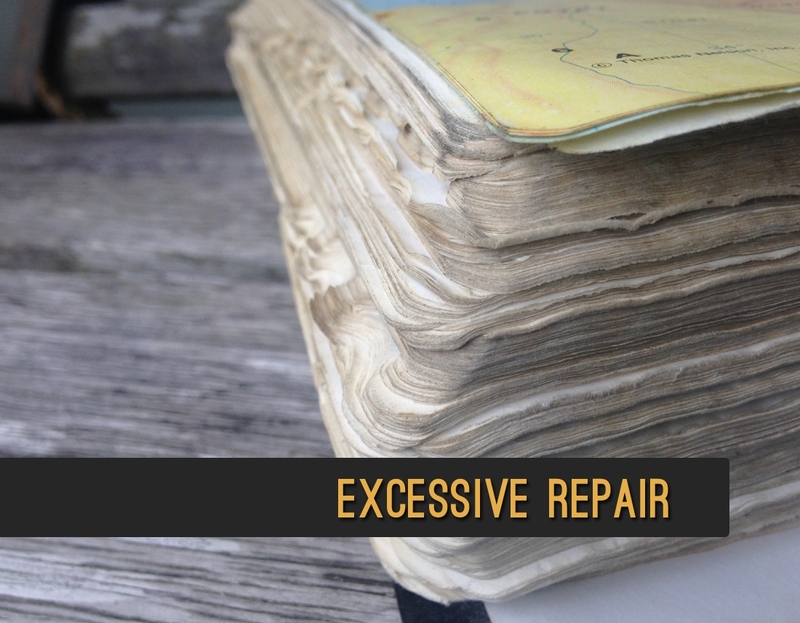 If we expect a bible will exceed 1.5 hours, we will contact you to inform you of excessive repair charges before we proceed. 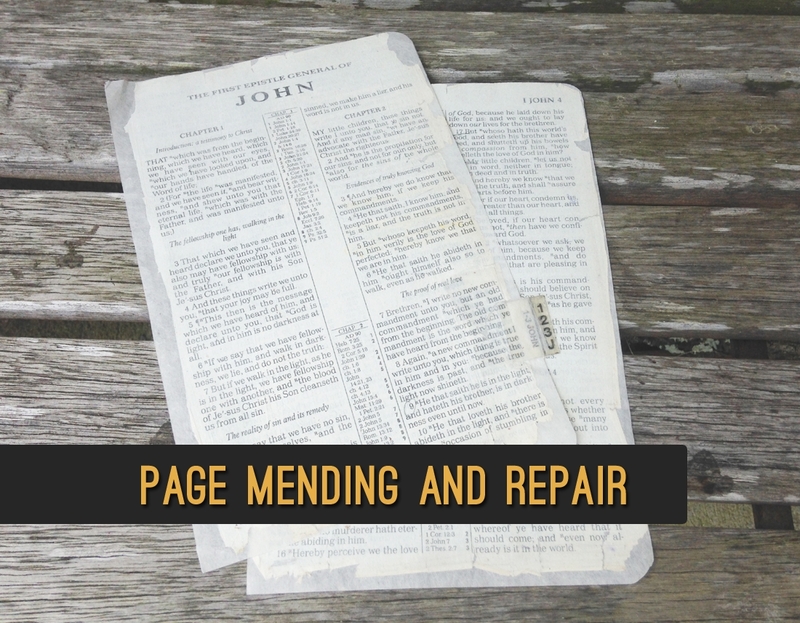 For worn and torn pages (more severe than just a tear), we can “laminate” them to preserve them and keep them in tact. 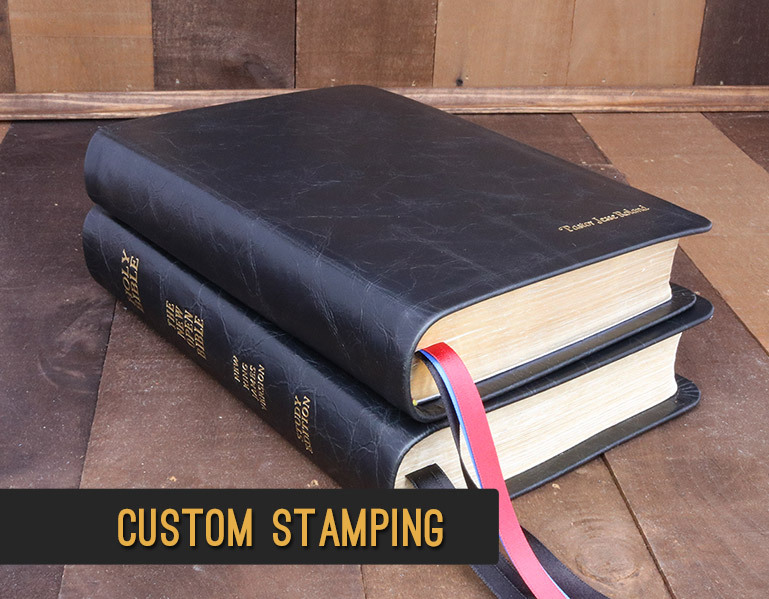 If you would like something stamped other than what is listed here, such as your logo or other phrase, it will be priced per project. Monogramming or adding your name is a flat $5 add-on. You can select block or script lettering.